Home › frugal › Frugal Laundry › Health/Beauty › Do Wool Dryer Balls Work? - Save On Your Laundry Tip! 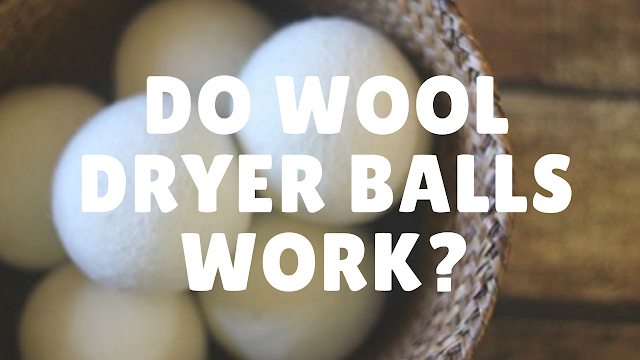 Do Wool Dryer Balls Work? - Save On Your Laundry Tip! Yes, wool dryer balls work by bouncing around in your dryer and separating clothes, which allows extra warm air to circulate through all your clothing. The wool balls help fluff your laundry and decrease wrinkles.They work much like a masseuse for your clothing and basically massage the laundry to make it softer. For the frugal of us use of wool balls also purpose an excellent way to save money while being healthier in the process. Alpha-Terpineol: can cause headaches, respiratory problems, and central nervous damage. Limonene: A carcinogen that irritates eyes and skin. Camphor: Easily absorbed through the skin causes Center nervous disorders. Chloroform: A carcinogenic neuro toxin. WHY WOOL INSTEAD OF OTHER DRYER BALL? OK now we know why dryer sheets are bad, but why can we not use other dryer balls? Tennis balls as well as the plastic PVC balls will coat your laundry with chemical scents from the commercial products the are made with. When heated plastic releases all sorts of awful chemicals. Not only will these left behind chemicals leave an unappealing smell. For obvious reason wearing clothing coated in chemicals is horrible for your skin as well. Wool dryer balls on the other hand are all natural and chemical-free. REPLACE DRYER SHEETS WITH WOOL DRYER BALLS? Wool balls not only do what your dryer sheets can, they also do more. They pull moisture directly out of your garments so you do not have to run your dryer quite as long. The higher number of dryer balls you have in each load, the shorter the drying time will be. Just one set of wool dryer balls, a set includes 6 balls, will guarantee you use for 1000 loads. Just like a dryer sheet minus all the chemicals dryer balls will reduce static and eliminate wrinkles. Made of 100% wool dryer balls are extremely durable and over time becomes more like "felt" softening loads of laundry. Depending on the size of the load determines how many dryer balls to use. I normally use all 6 dryer balls, larger loads I'll use 8. The larger the load the more balls needed so they can circulate through the layers of clothes allowing warm air to more easily circulate between layers. Thus cutting drying times at least 25%. Saving you time and energy. Wool Dryer balls are difficult to find in local stores. This is mainly due to the lack demand from the general public. Of course, this may change as more and more people read information such as this post and realize the benefits of going wool. So please share this article with on social media and get the word out. For now, we can find still find good deals online. These New Zealand Wool Dryer Balls at the time of this post is as good of a deal you can find. Handmade with 100% organic wool with none of those chemicals we talked about before. They are not only cheap but are made great and last a long time as well. Wool balls do in fact work and save you money. When you add up all the savings of less dryer time. Not to mention being able to use these dryer balls over and over again. Wool balls are more affordable than dryer sheets. While at the same time working better and being much much healthier.